From New York, we took a bus (Megabus.com) as early as 6 AM to visit the capital of the USA. It took us four hours to reach it. We headed directly to 'The National Mall'. We spent almost whole day to walk around the park. Trust me, you must be prepared for a long walk but each stop was an unforgettable experience. 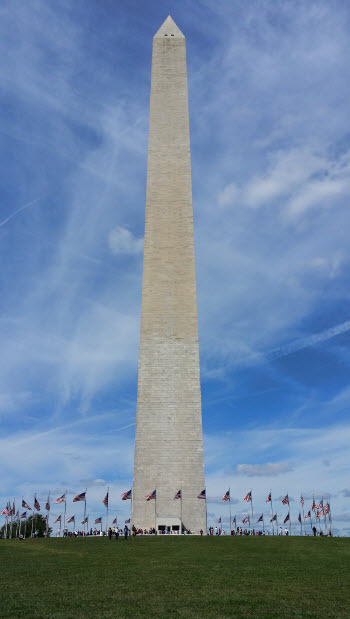 The 'Washington Monument' was the first one who greeted us. It was actually built to commemorate the first American president. 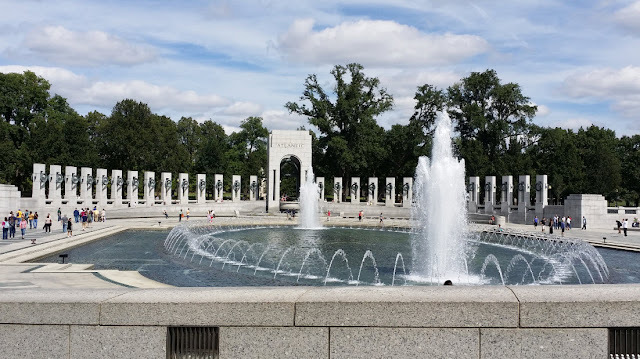 Then we walked towards the 'National World War II Memorial', a memorial that was dedicated to the Americans who served during the World War II. 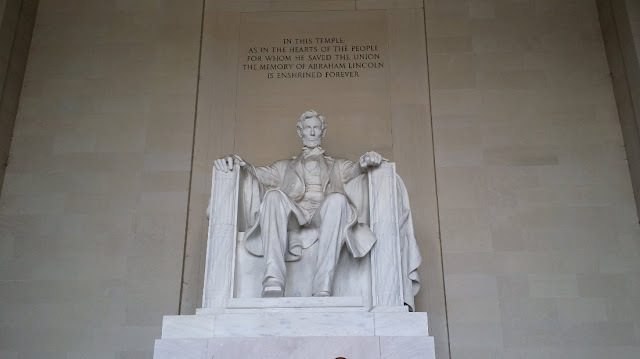 Next stop was the very famous Lincoln Memorial; I have seen this place several times only in the movies but that time was a special one because it was just right in front of me. As we all know, it was built to honor Abraham Lincoln. 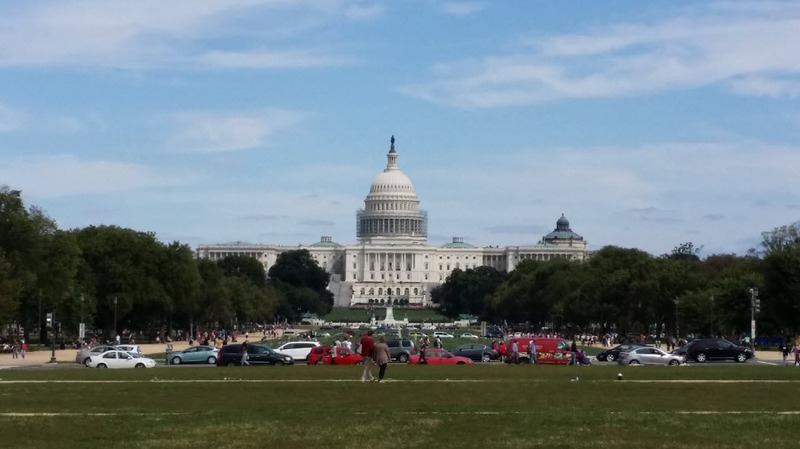 If you love watching thriller films that include the CIA, FBI or other security agencies, then US Capitol building should be familiar to you. Though we didn't get the chance to get inside, still it was a good sight and a chip of good memory for us. We were joking that every time we will see this building in movies, we can finally say to ourselves, "oh, I've been there" haha. 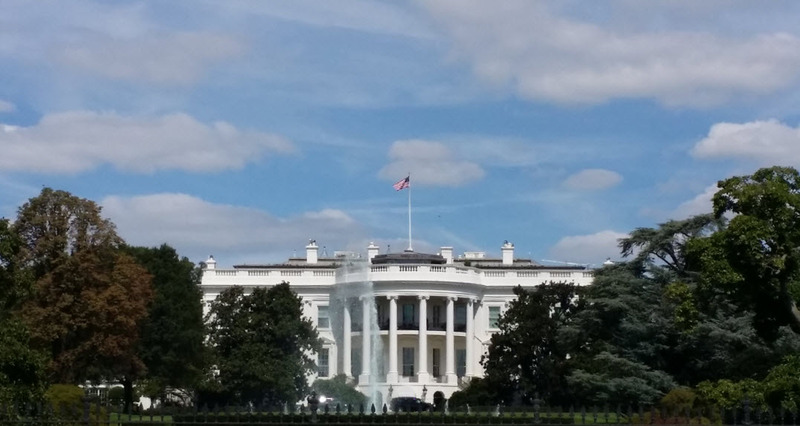 Of course who doesn't know the president's residential building, the 'White House’? Still, we didn't enter as it was impossible to get inside without an appointment with the world's most powerful man. But we were satisfied just to see it but it was strange to see that other tourists were waving 'Hi' to the building. Then there was this 'Smithsonian Building' which was mentioned in Dan Brown's 'The Lost Symbol'. They also call it 'The Castle’ and was constructed of Seneca red sandstone in the faux Norman style. 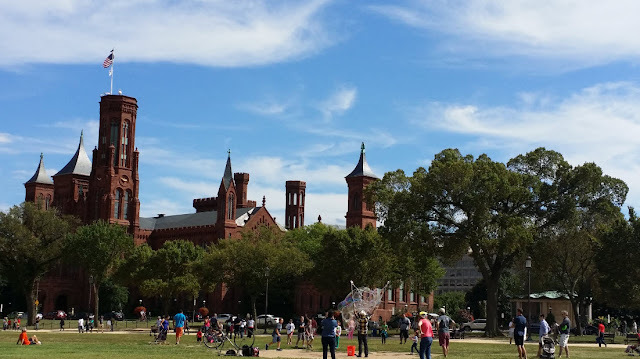 See below video to see more of the pictures we took in the national mall.